Fund Development Associates is the regional expert in fundraising. No one has more direct, hands-on experience. By selecting our firm, you will have a team of professionals with more than one hundred years of combined successful fundraising experience who have assisted hundreds of charitable organizations achieve their goals. Each team professional assigned to a project devotes his or her full time and energy to achieve a successful outcome. Every project undertaken by Fund Development Associates has succeeded in reaching its published goal. We know of no other firm in business as long as we have that can make that statement. As President of the firm, William Schopfer leads this team of highly skilled professionals. Bill Schopfer is President of Fund Development Associates, Inc. His extensive experience in fundraising began as a Capital Campaign Director for the national financial consulting firm of Haney Associates. In his twenty-five year career he has raised millions for organizations nationally. He has a wide range of experience conducting major fundraising projects successfully for a highly diverse client base. Mr. Schopfer later joined Mercy Foundation directing all fundraising activity for a multi-hospital system. He left Mercy after five years and co-founded Fund Development Associates, Inc.
Mr. Schopfer brings experienced fundraising management with a wide range of clients from children’s causes and the arts, to education and healthcare. He is a Certified Fund Raising Executive (CFRE) and was named Outstanding Fund Raising Executive of the Year by California’s Capital Chapter of the Association of Fundraising Professionals (AFP). He served on the AFP National Board of Directors, served two terms on its National Certification Board and is a Past President of California’s Capital Chapter. He is active in many civic and community organizations including a former member of the Board of Directors of the Nonprofit Resource Center and member of its faculty; past Presidents of the Board of Sol Aureus Prep Charter School, Heart Research Foundation and Sierra Forever Families. Nicki Shearer is an experienced fundraising executive, perhaps best known in the Public Broadcasting System. She chaired the National PBS Development Advisory Committee. Prior to that Nicki had been first Chair and then Co-Chair of the annual Development Conference presenting topics to conference attendees ranging from Capital Campaigns and major gifts through membership, auctions and special events. Ms. Shearer headed all fundraising at KVIE/Sacramento for thirteen years, during which time the station received the Overall Development Award four times as well as many awards for auction, special events, membership and planned giving activities. Prior to joining KVIE, Ms. Shearer headed fundraising efforts at station WHA/Madison in Wisconsin. During her tenure she increased membership revenues by 400% and brought to the station its first National Auction Award. Ms. Shearer is a Certified Fund Raising Executive (CFRE) and was honored as Outstanding Fund Raising Executive of the year by the California’s Capital Chapter of the Association of Fundraising Professionals. Tom Byrne’s experience as a manager, national trainer and consultant includes over thirty years in development, management and resource support to not-for-profit organizations across the country. 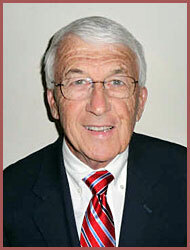 He began his career as the founding Executive Director for a local chapter of a national health organization. Based on his successes he was invited to join the national staff of United Cerebral Palsy Associations with offices in New York City and Washington, D.C. In that capacity, he had principal responsibility for providing a wide range of chapter management and funding support services in thirteen western states. Since joining Fund Development Associates, our clients have benefited from his wide array of experience in providing governance, development, marketing, and capital campaign counsel. Those clients include healthcare organizations, schools, social service agencies; youth sports groups, government entities and education foundations. His strong client-centered approach coupled with great respect for donors and practiced listening skills is of great benefit to campaign staff and volunteers as they collaboratively plan and execute successful campaigns. His experience also includes extensive background in securing corporate gifting for local projects, vision development and strategic planning for faith and community groups. Mr. Byrne has served as a member of the Ethics Committee of California’s Capital Chapter of the Association of Fundraising Professionals. 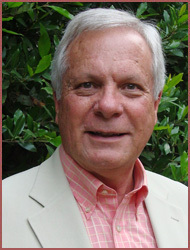 Additionally, he served on the Board of the California Consortium of Education Foundations. Joey Jordan has more than a decade of assisting not-for-profit organizations with capacity building, board development and fund development. She began her professional fundraising in 1991 when she founded and funded a not-for-profit in the Bay Area to address substance abuse. In 1994 Joey and her husband relocated to the Nevada City area where she joined The Sierra Fund as Director of Development. Since then Ms. Jordan has provided fundraising consulting services to several local and regional organizations. Joey provides leadership to numerous not-for-profit boards, most recently as Board President of KVMR Community Radio in Nevada City, leading the organization through a successful multi-million dollar Capital Campaign. Funds will be used to build a permanent home for the not-for-profit radio station. 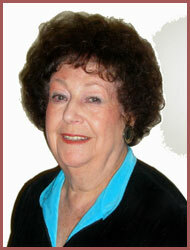 Ms. Jordan is a member of the California's Capital Chapter of the Association of Fundraising Professionals (AFP). Combining her experience in the world of not-for-profit leadership and her innovative fund development techniques, Joey is a key member of the Fund Development Associates team.